Sign-up and receive Property Email Alerts of Residential Estates in Kanonberg Lifestyle Estate, Bellville. 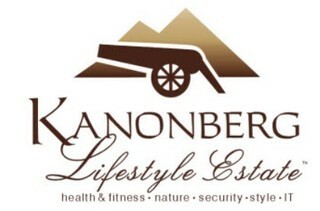 Kanonberg Lifestyle Estate was originally launched in 2001 with first houses in completed in 2010. Located in the heart of Bellville, close to access to N1, zoned for Kenridge Primary, Welgemoed Primary, DF Malan High School, Fairmont High School, Reddam Durbanville, Close to Tygervalley & Willowbridge shopping centre, and the Welgedacht Shopping Centre as well. The estate is made up of 150 freehold stands complimented by wide open spaces and walking trails. Kanonberg was developed with the perception of providing secure estate living in a natural environment whilst providing residents with access to facilities which improve healthy living. The farm was one of original signal posts in the surrounding mountains, which meant that a gun was fired once or twice every now and then to warn inhabitants of enemy ships entering Table Bay Harbour which is where the name comes from.